Within my Youth Development Co-ordinator role, I am currently working with the Youth Service Team on a "My Journey" programme focusing on the D/deaf/hard of hearing Junior age group 12-17 years (JDY). We are now at the stage where we are approaching people that are connected with the JDY. We would very much appreciate the Deaf Community & connections to collaborate and support of this project. If you know of or have any connections or networks with young Deaf people 12-17 years old in your community or how we could reach them, please let me know and we would like to give them a survey questionnaire to this JDY to complete within the next few weeks. By having the JDY completing the questionnaires, it would help to ensure that the programme we are planning is well developed and designed for the JDY. The more we can outreach the JDY, the better the outcomes will be for this JDY programme which will then give JDY an opportunity to be able to be more involved in better making decisions that affect their everyday lives. We also aim that they will want to be perceived by others involved in this programme as being capable and independent by using the leadership skills passed on by Senior Deaf Youth Leaders. The main outcome of this programme is that the JDY can contribute with confidence in mainstream society. Your valuable input would be greatly appreciated. The event will kick off at 6:30pm with a giant game of backyard cricket with local cricket teams, entertainers, and New Zealand cricketing heroes. The main event will start at 9:00pm (there will be a big screen) with a colourful welcoming ceremony showcasing some performances before the official speech begins. New Zealand Sign Language interpreters will be on stage for the official speeches. You can watch the opening ceremony on SKY or free-to-air Prime. Anna Dubbelt is coming to Whangarei and would like to meet and chat with you. She will discuss your rights and explain what to do if you are not happy with a health provider. On Monday we met at the Deaf Aotearoa office and discussed TEC workshops. This was a very valuable discussion and I want to thank those that came here. We now have ideas for some exciting workshops this year. I will also remind you of workshops via Facebook and sending texts to you all. This weekend is the 175 years celebration of Waitangi and when the treaty was first signed. Are you interested in going and celebrating? The Whangarei community computer is having problems. Hopefully this will be fixed soon. JobFest is a unique opportunity for the city’s leading employers to meet face-to-face with young Aucklanders who are actively seeking employment. Recognizing the strong demand to fill a range of jobs suitable for young workers, JobFest removes some of the barriers between your business and those workers. It creates an opportunity for you to meet face-to-face with engaged, job-ready young people to talk about the specific employment opportunities in your business. There will be a memorial service for Desmond Powell who passed away in October 2014 in Australia. Desmond was the president of Auckland Deaf Society during 1976 to 1980. His family is coming to New Zealand for his memorial. His ashes will be scattered up north. If you knew Desmond, then come along and share memories of him. Last week, we sent out an article about SLIANZ launching their new website at Auckland Deaf Society which was planned for Friday 13th February. This has now been postponed. We will inform you of the new date. This is a course for learning how to be more in control of your finances, improve your savings and budget the correct way. See the attachment. Please RSVP by Saturday 21st February. If you don't have a learner licence yet, you can come to our TEC course where you can learn the road code. Then after the course you can go and sit your learner licence test. Please let me know if you are interested by 13th February. Last week our Stir It Up event was advertised, but the wrong flyer was attached! Sorry about that! I have attached the correct flyer with Waikato dates. Please have a look. Our next Stir It Up will be next Tuesday 10th February from 1:00pm to 3:00pm. All welcome to come and have coffee and chat about NZSL Week events, workshops and get to know about the services we provide here. Some Deaf have asked me about getting their motorbike Licence. With the cost of petrol going up and the amount of traffic, some Deaf are thinking about using a small motorbike to travel around town on. But they need a motorbike licence. Some Deaf are currently working in a place that involves packing, or stacking and so having a forklift licence would help them to better positions at work. Or, they can’t apply for certain jobs because they don’t have a forklift licence. So I need your feedback… Which do you prefer? Email Susitina Cook at susitina.cook@deaf.org.nz, text 021 540 193 or come and visit the office to register your name. Anna Dubbelt wants to talk to you about your rights when receiving Health or Disability service. For example: going to the doctors, nurse or dentist. She will explain your rights to make sure you get fair and equal treatment when going to health services. So come along and have a confidential chat with her. For more information contact your Community Relations Officer, Susitina Cook. Email susitina.cook@deaf.org.nz or text 021 540 193. 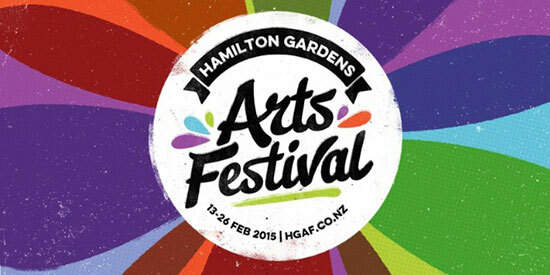 The amazing Hamilton Gardens will be filled with summer activities and entertainment. Enjoy lots of different theatre performances, art displays, movies and events for all ages! Have a look at the website for all the information! Te Runanga O Kirikiriroa is organising a Waitangi Day Family Friendly Celebration - Hapai Tia. There will be free sausages, children's entertainment, live performances, food, crafts and other stalls. Do you need a forklift licence for work? Do you want to get your forklift licence to apply for a job? There will be a one day free course with NZSL interpreters. All you have to pay is for the forklift licence at AA when you pass which is about $44.00. To put your name down, let Sue Lessing know by 5:00pm Monday 9th February. Do you need support at work? Interpreters for meetings? Do you have communication issues at your work? Are you looking for a job and need support on how to search or where to look? Do you need support with your CV, cover letter or interviews? Heather Goodwin is here to support you and she is a sign language user. Please share this information with others who don't have computer access. Top 10 Holiday Resort will host a fun filled day of markets and live music.There will be food on sale, fun bikes, waterslides and a kids carnival. Come along and join the Papamoa Beach Top 10 Holiday Resort locals club and you will go into the draw to win a stay in a luxury villa. This event will be in its 18th year. In the past there were wooden kayaks, wooden dinghy's, wooden steam powered boats, wooden yachts and speedboats. At this show there will be over 70 boats and they will have a picnic and a cruise around the lake. Your local Community Relations Officer, Niki Jenkinson, is looking for some ideas for events during NZSL Week. Please send any ideas you may have to Niki Jenkinson. These events will be happening during the week of Monday 4th to Sunday 10th May 2015. I look forward to receiving your ideas. All ideas will be considered but there are no guarantees they would be approved. If you are involved with the Deaf Club, Parents of Deaf Children or other organisations you may want to consider putting on your own event and tagging onto one of Deaf Aotearoa’s events during NZSL Week. Join NPDC Animal Control Officer Frank Fenton, the SPCA and a group of dedicated dog owners on this stroll with man’s best friend. Hear about the rich history of the area and revegetation plantings. If you don’t have a dog, don’t worry as there will be some four-legged friends from the pound and the SPCA that would love to have a walk – and even a new home! Donations of puppy and kitten food will be gratefully accepted. If you are bringing a dog, bring a doggy-doo bag and a lead. Bike, board, roller and scooter riders are welcome to ride ramps and rails in Huatoki Plaza into the early evening. This year's jam will take on a festival atmosphere with heavy DJ beats. There will be a flow zone for young ramp riders, big ramp big-air show, the fix zone for any quick repairs, spray zone for custom deck spray painting and shop to purchase any essential bike/scoot/skate accessories. The Deaf Aotearoa Hawkes Bay office will be closed on Friday 6th February due to Waitangi Day. Everyone is welcome to come. You can bring you own lunch and come to meet with other Deaf people. Catch up on the latest news and events. Tea and coffee are available. If you are a member it’s free, however if you are not a member they are $2.00 each. If you wish to join the HBDC the membership is $15.00 per person. Come and see all the latest news from Deaf clubs, Deaf Aotearoa and Deaf Sports on the notice board. 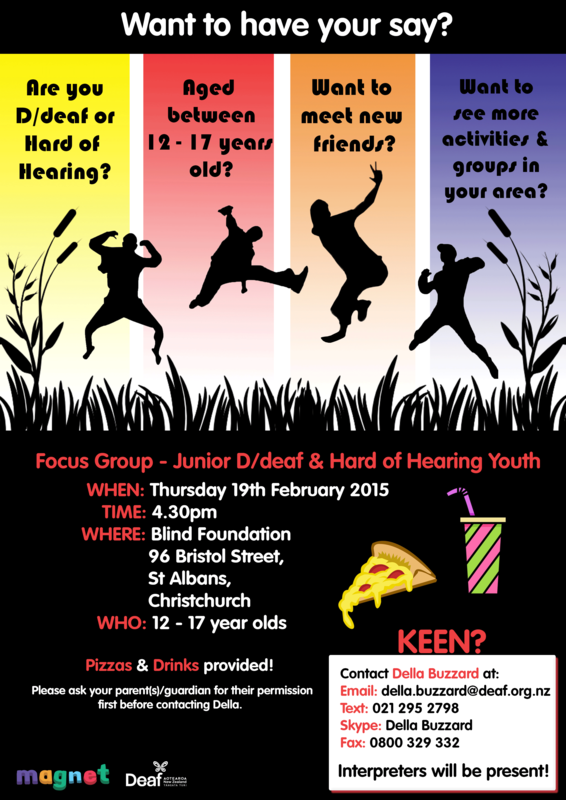 For more information please text 027 859 3238 or email hbdeaf@clear.net.nz. The public will be able to buy books at bargain basement prices. Books are priced at only $1.00 and are all expected to sell. There is very little pre-sorting, and as a result the price can be kept low. All books need to find a new home. Eftpos is available. There is no pre-inspection, and buyers must wait until the morning of the 8th February, at 9am to see the books. They have been donated by Hawkes Bay residents to assist students at our school to travel to Japan with their Japanese language class. On day three of the Hawke’s Bay Commuter Challenge, visit the Hastings Clock Tower for the ever-popular, iWay Go By Bike Breakfast. The biggest breakfast of them all, we’ll have hundreds of bacon butties, fruit, muffins and other yummy treats for everyone who bikes or walks past us on your daily commute at the Hastings Clock Tower. As well as a free breakfast, you could win some great prizes, plus start the day off right with a smile. Must be pre-booked. Please text 022 671 3495 for inquiries. If you want to come along to this workshop, please let Lianna know because we need to make sure that the room we have is small or big enough for everyone. I have been working hard on organising and creating some workshops! Keep an eye out in the newsletter for when those workshops will happen. If you have other workshops you would like to learn, let Lianna know! You have the right to good service from your support worker, doctor, medical centre staff, hospital staff, dentist, hearing service, physiotherapist, and other medical or disability service staff. Have you received poor service? You can talk with Donna Allan, Deaf Advocate, about it. Donna will be in Palmerston North for the day. Please text, email or fax her to make an appointment. Contact her before Thursday 5th February. The Health and Disability Commissioner's office is holding three consumer seminars in the Wellington region in March this year. The seminars will focus on our health and disability consumer rights, and what they mean for disabled people in particular. They will discuss what HDC does, what to do if you are unhappy with a health and disability service, and what happens when you make a complaint. All venues are wheelchair accessible. Tea and coffee will be provided. RSVP to seminar@hdc.org.nz or phone 0800 11 22 33 and ask for Vanessa Creamer or Esther Woodbury. Enjoy an introduction to the current exhibition Yvonne Todd: Creamy Psychology in New Zealand Sign Language. This tour will be given by Theresa Cooper, a member of the local Deaf community. She is passionate about the arts and has been an advocate for galleries, museums and theatres to be more accessible for Deaf people for several years. She has led many exhibition tours in New Zealand Sign Language. Bookings essential. Please email citygalleryevents@wmt.org.nz to book. Join local singers, drag queens and kings, comedians, and circus performers for the annual Out in the Park queer fair. Famous for its fabulous entertainment, stalls and food, Out in the Park is a wonderful day for all communities to come together and celebrate our diversity in a fun, friendly, and open way. The markets open at 10:00am with an unmissable Italian quarter showcasing Italian culture in European street cafe style. Sample a mix of local and international foods, as you watch the littlies enjoy the fun fair. Shorland Park’s band rotunda hosts a day-long concert with Wellington’s up-and-coming bands. There will also be quirky performances such as acrobatic and circus routines, comedy and puppetry throughout the day. The Blessing of the Boats, a festival favourite, begins at 2:30pm. Local clergy bless the line-up of fishing boats in this traditional ceremony to grant them safe carriage and plentiful bounties. Learn more NZSL conversation skills and develop your grammar skills. This course is designed for those who have completed levels 1A to 1D. Open to adults and college students. For any queries about either classes above please contact Jo Johnston, Community Education Co-ordinator, by phone 03 544 6099 ext 870 or email ace@waimea.school.nz. Would you like to learn more NZSL, improve your conversation skills and develop your grammar skills? We are pleased to announce that our NZSL course will run every Thursday from 12th February until 19th March at 10:30am to 12:30pm. This course is designed for Deaf and hearing families and support services. We request that you attend the full six weeks to gain maximum benefit from this course. Places are going fast , so please enrol with Susan Peters on susan.peters@deaf.org.nz or text on 021 939 415. Come and meet up with the community for lunch! Rachel will send you a menu of the lunch on request. Pre-ordering is required. For address please contact Rachel, the secretary of Nelson Deaf Community. All welcome, please let Rachel know if you are coming. Email Rachel on nelsondeaf@gmail.com or text on 021 102 4400. This is a free event for the general public. New Zealand Sign Language interpreters will be available on stage for the official speeches. Are you D/deaf or hard of hearing? Aged between 12-17 years old? Want to see more activities and groups in your area? Pizza and drinks provided. Interpreters will be present. Please ask your parents/guardians first before contacting Della. A deaf community member in Southeast Christchurch is looking for a private NZSL tutor (advanced level) to improve their NZSL skills through conversations. There will be modest remuneration to be negotiated depending on travel expenses. If you are interested please text 021 513 277. The Co-op have been running for nearly four years since October 2011 to enable families and whānau to buy affordable seasonal fresh fruit and vegetables. It continues to run successfully all over Christchurch. Anyone can purchase a pack of one bag of fruit and one bag of vegetables with recipes or information enclosed for only $12.00. You can pay one week in advance by cash or internet banking and there is no joining fee. You can buy more than one pack at a time, there is no limit. You don't need to buy every week. You can buy a pack for others, eg your parents children, neighbours or your best friends. For more information on where to go and get them by contact your local Fruit and Vegetable Co-op packing centre to join or find your closest pick up location on their website. Anna is setting up a forklift course. Please note: You must be Deaf and have a full driver’s licence. This is an expensive course and Deaf Aotearoa must book as soon as possible. Please tell Anna if you can come so we can confirm. More details will come after confirmation. Text 021 276 5656 or email anna.hurd@deaf.org.nz before Thursday 12th February. Want to know more about setting up your will, family trusts and power of attorney? Come along to workshop to learn and ask questions from a Public Trust Advisor. An interpreter will be there. Note it is being held in the same place as the Tech Smart workshop last year. Please enter on Moray Place, not through the bank. Hundreds of interesting, creative stalls will be set up around the Octagon and Bath St offering a variety of arts, crafts, clothing and plenty of food! Join popular bands The Yardmen and Lipstick for a dynamic afternoon concert to celebrate Waitangi Day. Round up the family with a picnic, rugs and sunscreen, and enjoy the sweet sounds that Aotearoa has produced. All music is New Zealand in origin and the concert wll include some kapa haka items. I have arranged for coffee groups to be on the following dates. Put them into your diaries! Do you have any suggestions to make these more exciting? Please tell me of your ideas! Thank you for all your feedback about TEC courses and NZSL Week at the Southland Deaf community meeting last Sunday. Your feedback is much appreciated! We have started organising the most popular ideas. If you have anything else you would like to discuss please don't hesitate to have a chat with me. Hopefully this will be an exciting up and coming year for you all! We have information for women on breast cancer. Please come into the office to have a look and take home a free booklet or pamphlet to read. You can also borrow a DVD with information in NZSL. If you would like a booklet or pamphlet but you are unable to travel to the office, please get in touch with Rebecca so she can send some information out to you. I have emailed some of you that applied last year so please check your emails for information and applications. Applications closed on the 31st January. But you may still have time to complete your registrations. Please get onto this as soon as possible so you don't miss out on this great opportunity. New tutors are welcome to apply. For more information go to www.nzslweek.org.nz.